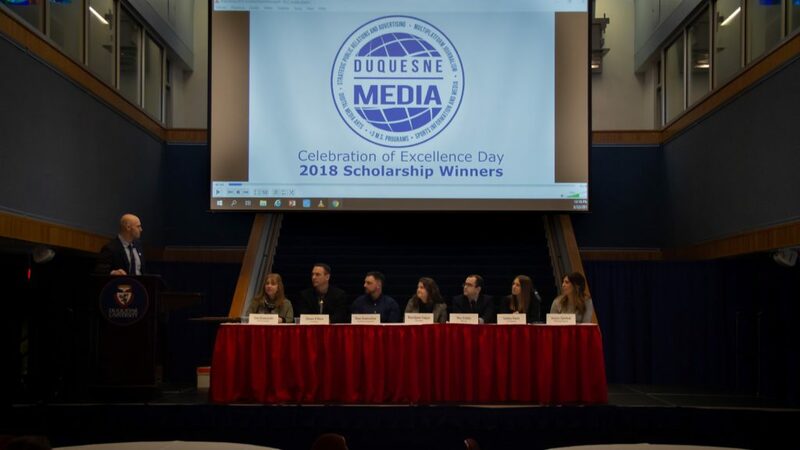 On Friday, March 22, Duquesne University’s Media Department held its annual “Celebration of Excellence” (Media Day). ocreations President, Shawn O’Mara was asked to attend and speak on a panel at the event. 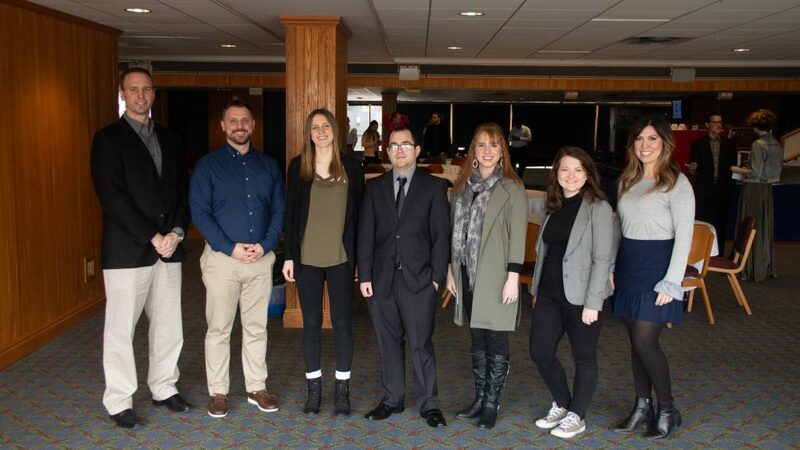 Each year, Duquesne University’s Media Department hosts a day for students, faculty, and alum of the department to celebrate the department and discuss industry trends and tips for upcoming students, upcoming graduates, and everyone in between. It’s a great opportunity for students, faculty and alum to come together and network. The event was held on Duquesne University’s campus, where current Duquesne students had the opportunity to showcase their work, as well as network with a variety of visitors, from students to professors to industry professionals. Following the student showcase was a panel discussion, where panel members provided professional, industry-related tips and advice. 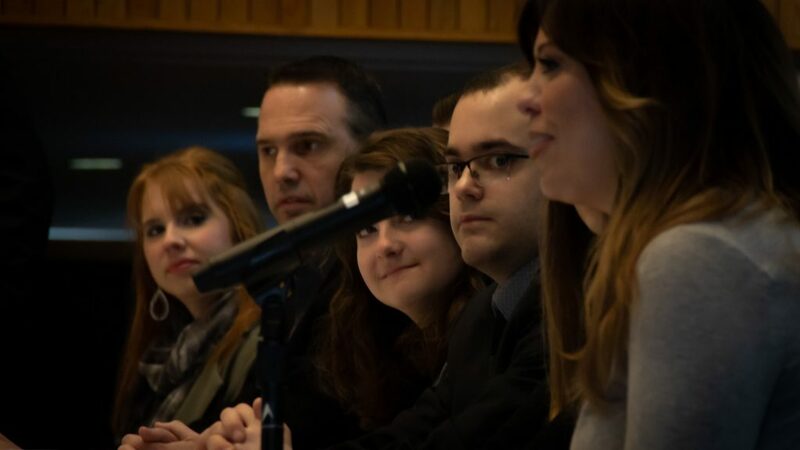 The panel members ranged from recent graduates who work in sports media and writing, to magazine editors, and ocreations own President, Shawn O’Mara – educator and design firm president. Scholarship winners were also announced, and the event was followed by a networking opportunity for all attendees. From left to right: Shawn O’Mara, president of ocreations and adjunct faculty in the Duquesne University Media Department; Dave Onomastico, director of business development and programs at Steeltown Entertainment Project; Sydney Bauer, assistant director of creative media & productions at GoDuquesne and production assistant at the Pittsburgh Penguins; Wes Crosby, writer at NHL.com; Sara Bauknecht, reporter, online editor and web series producer at the Pittsburgh Post-Gazette; Rossilynne Culgan, director and food and culture editor at The Incline; and Jessica Sinichak, HOME editor at Pittsburgh Magazine. Moderator: Duquesne University’s Robert Healy III – Media Professional/Professor.